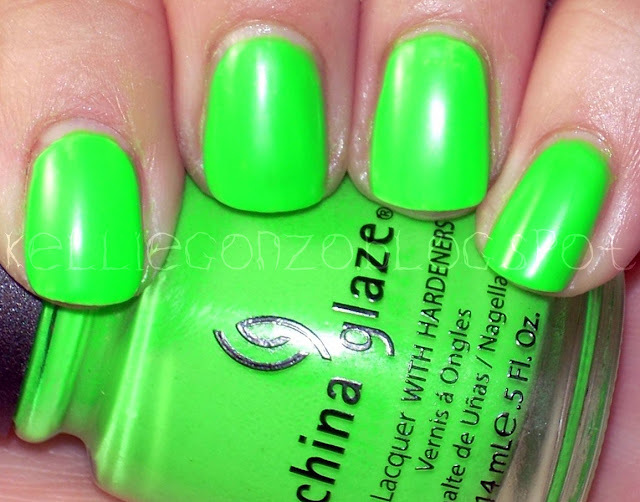 this is polish #3 from the poolside collection from china glaze for summer 2010. it's a neon to put all other neons to shame that is for sure. 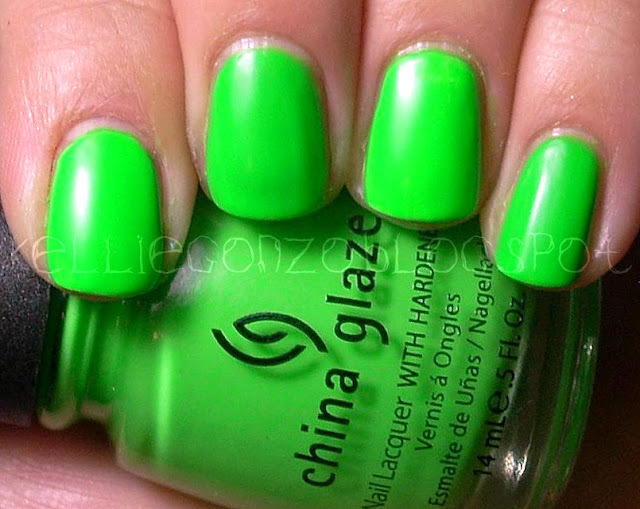 bright, blinding, extreme green! 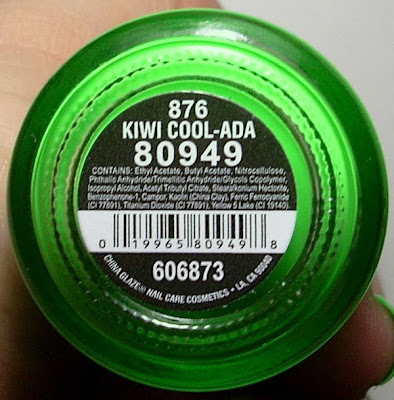 kiwi cool-ada brings to mind a tropical drink or something, mmm yummy. that would be nice to have today considering it's flippen SNOWING!!! yep folks, it was blizzarding this morning when good ol' kellie woke up in northern utah. yuck! double yuck! 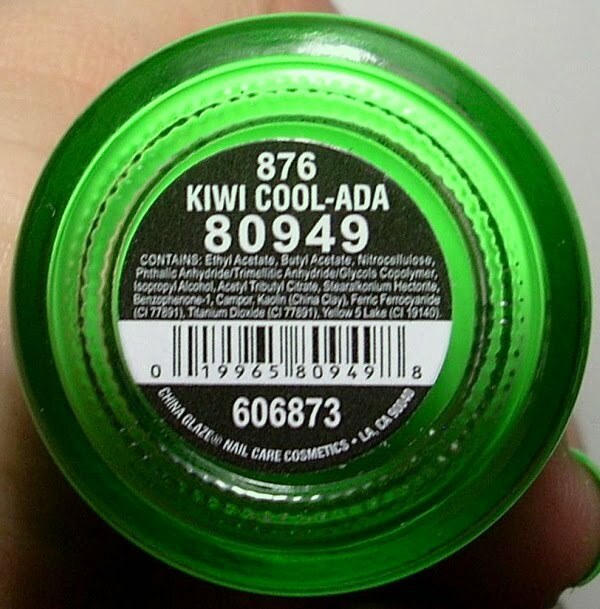 seeing this polish so big and bright warms my cold little toes and makes me yearn for summer. 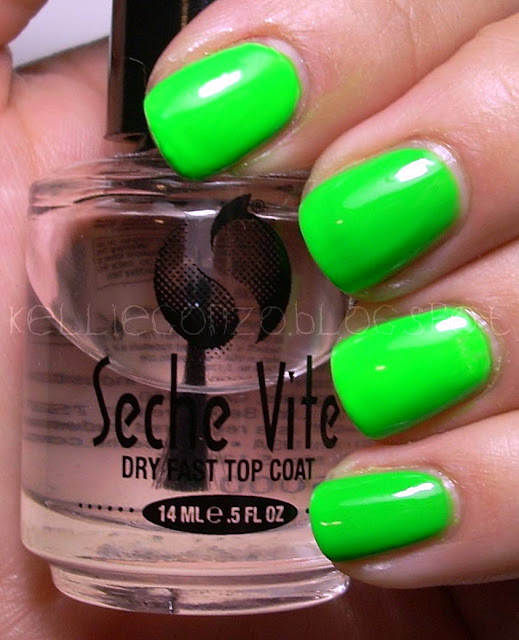 this is three coats. i put one coat of white polish on my INDEX and RING fingers to show the difference it makes with opacity.